Dining out can be tricky for many vegetarians. As someone who has been meat-free for the past ten years, I can attest to the difficulty of finding a decent entrée option at a traditional eatery: If you don’t want to chow down on a salad or stuff yourself with pasta, you’re often out of luck. Veggie burgers might seem run-of-the-mill; there’s a reason why most meat-eaters peg them as a vegetarian’s go-to dish (aside from salad). But in a sea of average patties, Superiority Burger in the East Village stands out. In fact, it’s hands-down the best veggie burger I’ve ever had. Made from grains, beans and a bit of tofu, the patty is served on a warm potato bun, with the perfect bread-to-burger ratio. A pickle adds tangy crunch and tomato a bit of additional bite. Don’t skip the desserts concocted by chef Brooks Headley, a former award-winning pastry chef at Del Posto. Choose from sorbet, gelato or my favorite, the creamsicle in a cup. If going vegan means I can savor deviled “eggs” and pine nut–crusted eggplant, sign me up. 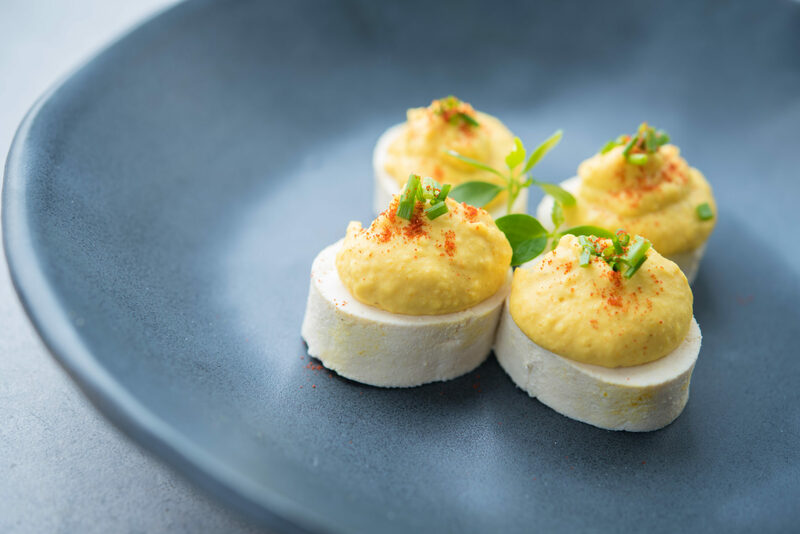 With two Manhattan locations — on the Upper West Side and in Chelsea — Blossom is a testament to well-cooked tempeh and well-seasoned tofu. It’s all about the details here: The meatiness of shiitake mushrooms, the aroma of fresh herbs and the creaminess of cashew cream put this restaurant at the top of my list. Blossom debuted a cookbook earlier this spring. The restaurant also offers free online tutorial-style videos featuring Ronen Seri, one of its owners and founders, who demonstrates how to make some of their delicious dishes. As a vegetarian, I’ve had trouble finding prix-fixe menus that meet my dietary needs. But at Dovetail on the Upper West Side, I can indulge in three vegetarian courses, plus dessert. I enjoyed sautéed king trumpet mushrooms that were satisfyingly “meaty”; an heirloom tomato salad so juicy, it tasted freshly picked from the garden; a decadent summer squash with truffles, creamy aged gouda and green tomato consommé; and poached peaches with ricotta ice cream for dessert. On top of the exquisite taste of each and every course, I was also impressed with the presentation. My king trumpet mushrooms, for example, were beautifully plated on a bed of greens — the vibrant hues alone were a delight. The vegetarian menu changes monthly, so I’m due for a second trip soon. Bring your meat-loving friends! In addition to the veggies-only menu, Dovetail offers dishes with smoked duck, cured salmon and tiger shrimp. Candle 79 is a vegan’s paradise on the Upper East Side. The plant-based institution has been serving veggie-forward fare since the mid-80s. 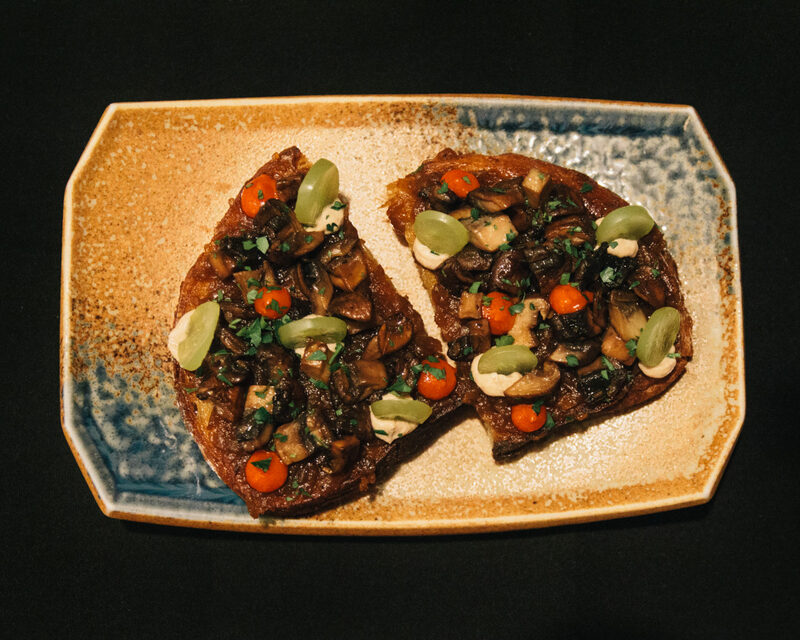 Options include salads topped with tofu, tempeh or seitan and entreés like wild mushroom crepes and seitan piccata with garlic mash and oyster mushrooms. I love being able to choose from everything on the menu — literally from soup to nuts — and every dish feels like a hearty, handcrafted main course. Check out Candle 79’s sister restaurant, Candle Café, for great vegetarian food served in a more casual atmosphere just a few blocks away. Avant Garden (on the Lower East Side) offers beautiful plant-based dishes that reflect all the colors of the season — and may even make meat eaters skew veg! I suggest trying the hot dish of lentils, smoked mushrooms, potatoes and onion jus; the vibrant orange hues and explosive flavors are mesmerizing. Or select an item from the “Toasts” section of the menu. The cremini mushroom version is my favorite — rich with a perfect balance of sweet and earthy flavors. Restaurateur Ravi DeRossi launched Avant Garden in 2015, along with a nonprofit organization called BEAST (Benefits to End Animal Suffering Today) — which helps animal rights associations fight animal cruelty through fundraising. If you’re craving a vegan take on comfort food — think mock meat and faux fish — look no further than Red Bamboo in the West Village. 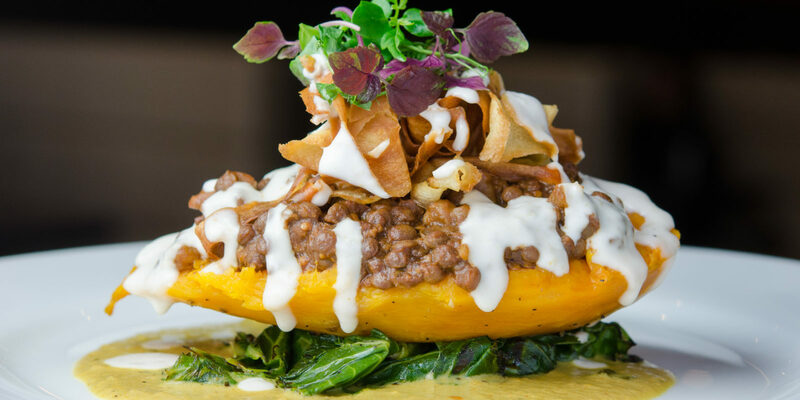 Since opening in 2002, this restaurant has specialized in global cuisine, adding new vegan dishes from around the world on a yearly basis. Opt for Asian flavors and enjoy the spring rolls, indulge your craving for Indian food with roti canal (a crepe served with soy chicken and potato-coconut curry), or sooth your soul with deep-fried Cajun soy shrimp and smoky soy ham collard green rolls. You needn’t be vegan or lactose-free to enjoy Red Bamboo’s dairy-free desserts. The carrot cake is my favorite. Stephanie S. is a travel writer living in New York City.